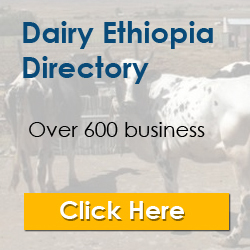 This website provides a platform for sharing of information related to the commercial dairy sector in Ethiopia. It is created by the Dairy Business Information Service and Support (DairyBISS) project of Wageningen UR Livestock Research. Find our latest resources here. In need of a specialized advisor? Find here an overview of the advisors trained by DairyBISS project in the last years. Interested in Animal Breeding and Genetics? Register for the free online course here! Want to read some interesting dairy stories? DairyBISS’ project leader Jan van der Lee co-authored the book Dairy Matters, with inspiring stories on dairy sector development in Kenya. The book compiles 18 stories of success and struggle in the Kenya Market-led Development Program (click to read). DairyBISS works closely together with ENTAG. DairyBISS is funded by the Embassy of the Kingdom of the Netherlands to Ethiopia.